Actors femulating on stage in Gilligan's Fire Island (2015). 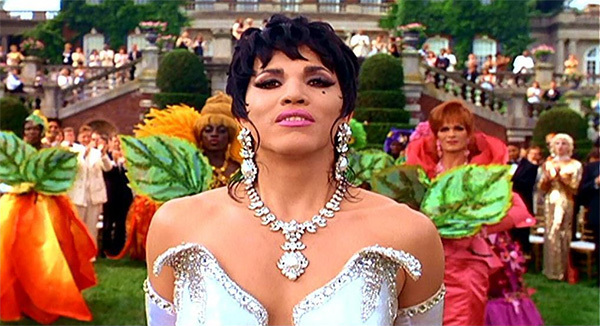 John Leguizamo, Patrick Swayze, and Wesley Snipes all femulated beautifully in the great film TO WONG FOO, THANKS FOR EVERYTHING, JULIE NEWMAR. They each wore a number of ultra-girly outfits, including lingerie. The prom dress that the cisgender teenage girl wears towards the end of the film is TO DIE FOR! ... SO FEMININE and gorgeous, with a wide flaring skirt over many petticoats. I LOVED this film.